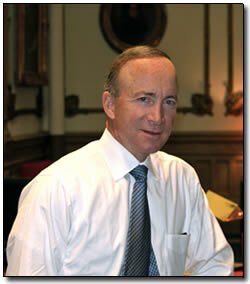 Governor Daniels continues to keep his name in the mix for the Presidential race by commenting on national issues. Over the weekend, we noticed a tweet from the @ForMitch twitter account linking to a WIBC story where Governor Daniels said he’ll be keeping a close eye on Presidential hopefuls and the attention they pay to the national debt. Daniels said it could influence his decision if “somebody really grabs hold and is willing to deal openly and honestly with the American people about what we’re up against” — and offers a constructive way to get out. But Daniels said it’s too soon to tell whether anybody fits that description. Obviously the Governor wants his name out there and is, at a minimum, trying to push the potential contenders to address fiscal issues that he feels are important. Is he angling for more? Is he going to run and just being coy about it? Is he throwing his hat into the veepstakes? You tell us. We’ve added a poll in the top right hand corner of the page.